Summit Machine, LLC has grown rapidly since 2003 by following one simple rule; Set the industry standard for value in complex machining. Our experienced workforce is cross trained to enable them to complete their own set-ups, eliminating waste and non-value added processing time. A flexible workforce allows us to adapt quickly to customer demand and delivery schedules. Seamless rolled rings, open and closed die forgings, shafts, bar stock and castings made from nickel base alloys, titanium, aluminum, stainless steel and carbon alloys represent the majority of products we machine. Size ranges from as small as 2” (50.8mm) OD up to 100” (2540mm) OD. Every effort is made to improve cycle times therefore reducing lead times and costs. Less machining time means tool life is extended adding to efficiency and increased output. We pride ourselves on applying continuous improvement techniques in every facet of our business. Manufacturing is engineered through a variety of platforms including SolidWorks, NX, and Vericut. 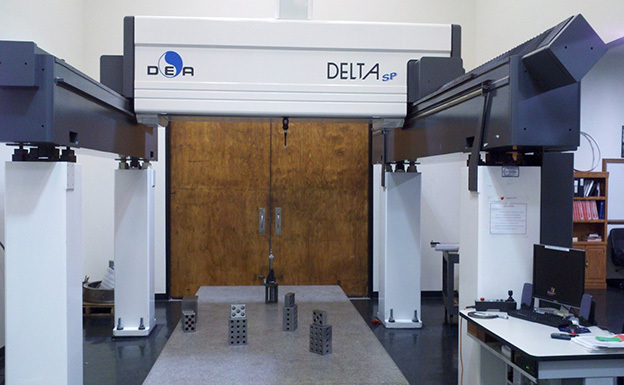 Summit Machine can convert your native 3D CAD model file for use at our facility. Generic exchange formats including DXF, DWG, IGES, and STEP are supported as well. This facilitates the ability to program from a customer supplied model, manufacture the part and then inspect to the same model using Browne and Sharpe PC-DMIS. We are happy to create customized quotations and will offer suggestions if we believe we can save you time and money. Give us an opportunity on your next machining requirement and let us demonstrate the Summit difference.